I recently saw a meme on social media that described Savasana as the most important pose during yoga practice. Rather than the flashy/difficult poses such as crow or handstands, it’s the supine position of Savasana that is arguably the most beneficial to body, mind and emotions. Savasana is all about allowing the body to enter a state of relaxation. All too often, with busy lifestyles and the stress and strains of modern living, it is east to forget to relax. Many of the things we chose to do as ‘relaxation’ are often the complete opposite – for example, playing computer games or watching scary movies can actually raise your stress levels as opposed to lowering them as you are constantly in a state of tension waiting for the next thing/monster to jump out. Some people can find it almost impossible to disconnect from the technology that is supposed to make lives easier. If you have email on your phone, the office is never really out of your thoughts as you can still be reached even when you’re sat at home miles away from work. Savasana then, is the point in your yoga practice that actively forces you to stop, relax, close your eyes and disconnect from external stresses and distractions. For many of us, Savasana can be the most complicated pose of the practice as it can be a struggle to find a place of mental and physical relaxation. As soon as you shut your eyes and will your brain to switch off, a hundred random thoughts pop into it…’what’s for dinner?’, ‘did I remember to switch my hair straighteners off?’, ‘will I fall asleep and start snoring?’…the list can be endless! However, just like any other yoga pose, with practise Savasana becomes more natural and falling into a state of relaxation becomes more accessible. The physical, mental and emotional bodies need time to recover and Savasana is a pose that allows us to access this recovery mode. At first, it is usual to see the signs of tension on the faces and in the bodies of people during Savasana. It is therefore, advisable to actively relax the body as much as possible by tensing and relaxing muscles in the body and face, moving the head side to side or even starting with the knees bent up in a tent position and slowly letting the legs relax down and allowing the feet to fall to the sides. As the body relaxes and the breathing slows, mental and emotional relaxation becomes more of a possibility. The posture of Savasana is also referred to as ‘corpse pose’ (sava means corpse) and whilst there are obviously some slightly negative connotations associated with the word ‘corpse’, in reality it is more about achieving stillness and a lack of movement. Ideally, arms should be relaxed by the sides with a space between them and the torso, the neck should be lengthened, the body aligned with legs hip width apart and feet slightly rolled out to the sides. If someone has a back injury or finds this pose uncomfortable, it is easy to use props such as bolsters, pillows or blankets to take pressure away from certain parts of the body so that relaxation is not compromised. Breathing should be even and deep and focus should be on relaxation and alignment of the body. Eyes should be lightly closed and an eye pillow can be used to shut out any light that could cause a distraction. You should aim to stay in Savasana for around 15-20 minutes if possible. It is inevitable that at some point you may fall asleep but this does not mean you have failed at the posture or done it incorrectly, it just means that you have achieved a state of complete and utter relaxation! Energy has been allowed to flow unrestricted round the body and you should feel refreshed, stretched and rebalanced after coming out of the pose. To summarise then, Savasana is an optional starting point and essential culmination of the yoga practice. I don’t want to describe it as the ‘goal’ of the practice although many people do say it’s their favourite part and indeed, consider it to be the ‘treat’ at the end of a strenuous hatha practice. This in itself seems rather telling as taking time out to relax shouldn’t be regarded as an occasional ‘treat’; rather, it should be something that we factor into our daily routines in much the same way we plan working, eating or socialising. 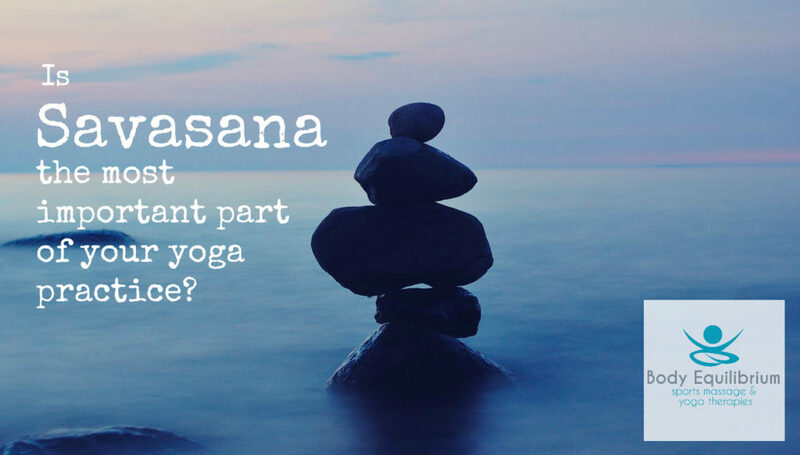 If you only have 10-15 minutes a day to practise yoga, Savasana is the pose that I would always recommend to people as a vital part of that practice.